NAYPYIDAW — A permanent residency (PR) system for foreign nationals will be implemented by October of this year, Burma’s immigration chief said last week. “We will allow a PR system in four months, not later than October. The duration of permitted stay will start with a five-year term,” Minister of Immigration and Population Khin Yi told The Irrawaddy, adding that foreigners would be able to extend residency upon expiration of their five-year stay in the country. The Ministry of Immigration and Population will invite foreigners and evaluate their applications based on a prioritization of the country’s needs, Khin Yi said. The system will take a four-tiered approach in weighing candidates, with the forthcoming framework for permanent residency based in part on a study of the systems in place in other Asean member states and Europe. “We will invite intellectuals and technicians, which the country needs. Secondly, [we] will invite investors. Third, former Burmese citizens. 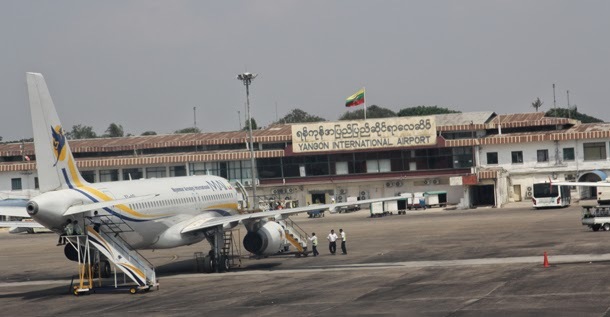 Finally, we will also accept Burmese citizens and his or her extended family who have studied abroad or went abroad for various other reasons,” Khin Yi said. “Those who apply cannot enlist as civil servants or found a [political] party,” the minister said, adding that additional details would be released when the system is implemented, as some issues were still being discussed. Khin Yi said that the law, which a team of 11 ministers is working to finalize, had already been “accepted” by President Thein Sein and Parliament. A former Burmese national who now holds a US passport told The Irrawaddy that implementation of a permanent residency program would need to come with a simple and unambiguous framework, adding that some former Burmese were waiting for the roll out of such a system before returning to Burma. Burma does not allow dual citizenship, under the country’s 1982 Citizenship Law. A Ministry of Immigration and Population official estimated that about 8,000 foreign nationals are currently in Burma on long-term visas. Thanks Ko Thet Aung Kyaw for the clarification wrt the PR status of the Burmese Diaspora. I do not know of others, but on my first return to Myanmar after 22 years. 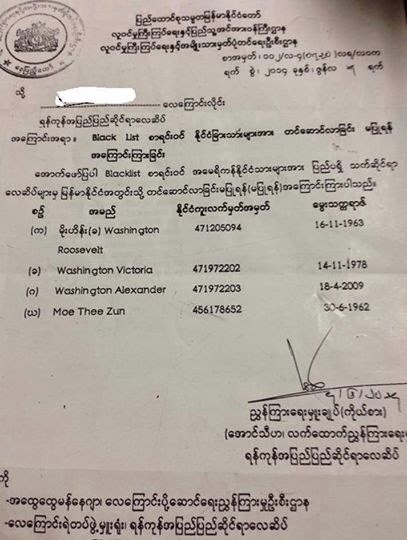 Though I was issued a entry visa, cleared by THe Ministry of Home Affairs and issued by The myanmar Embassey , Canberra , Australia at Yangon airport, I was told by the Head, Immigration Officer there that I was still on the "list". He said that I would have to board back the plane I landed in Myanmar. My nephew and a good family friend explained their best. After all the hassle, the Officer phone the Inteeligence Dept, I was allowed entry. I was very shaken up, my blood pressure rose greatly. The young women immigration officers and most of all U Sein Thein , he being the next senior officer were very courteous and kind to a old Burmese returnee. I am a Burmese, proud to be a Burmese, . No state or government can take my dignity and loyalty to my country, away from me. Being a Burmese always a Burmese. Myo Nyunt. Perth, Western Australiia.